Purchase this product now and earn 9 LaPoints! Bracelet is adjustable from 13cm to 15cm. 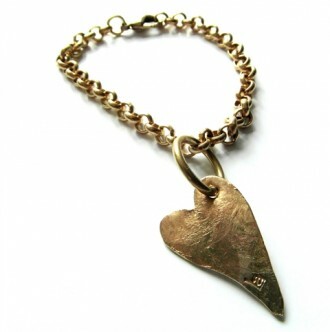 Made entirely from 100% Recycled Brass and the design has been lifted from our 100% recycled silver range. Categories: Flower Girl Jewellery, Little Peeps.